Samsung Galaxy Note 7 is storming the world and has proven to be a success. There are many amazing Samsung Galaxy Note 7 features that we loved and even Galaxy Note 7 S Pen has some interesting features. Those who have already bought this amazing smartphone must buy a case to protect it from scratches and dust. 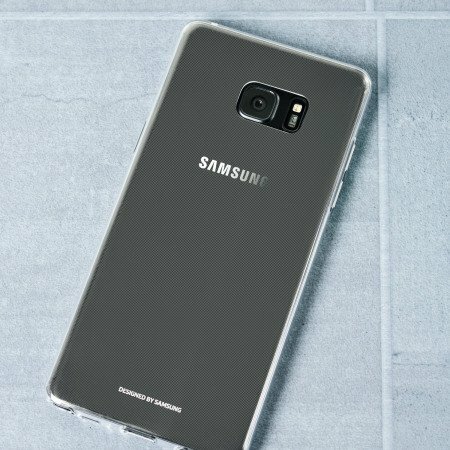 Samsung Galaxy Note 7 is a sophisticated device so it is essential to have a cover to protect the phone because on a daily life there is always a possibility of having a scratch on the phone which can not just damage the entire look but also doesn’t let the phone brag all its qualities. The case should also be convenient to use and there shouldn’t be a need to remove it each time to use functions or recharge the battery. Here we are going to provide information about some of the best Samsung Galaxy Note 7 cases and covers that are available for the users. All these best Samsung Galaxy Note 7 cases and covers don’t only protect your phone from dust and scratches but also looks good on your phone. We are going to begin with the official cover for Samsung Galaxy Note 7 which ships in Black colour as of now. The case has a sleek design and provides a good amount of protection and at the same time it helps you to stay updated due to its clear view on front. Its a semi-transparent cover which lets you quickly access your messages, incoming calls, notifications and battery life. The case is fully touch-compatible, so you have no need to open it again and again to manage things. The case is made of high quality material and adds minimal bulk to your phone. It perfectly fits into your phone and nice cutouts for ports and features allow you to use rear as well as front camera, charge the battery and listen to music with ease. 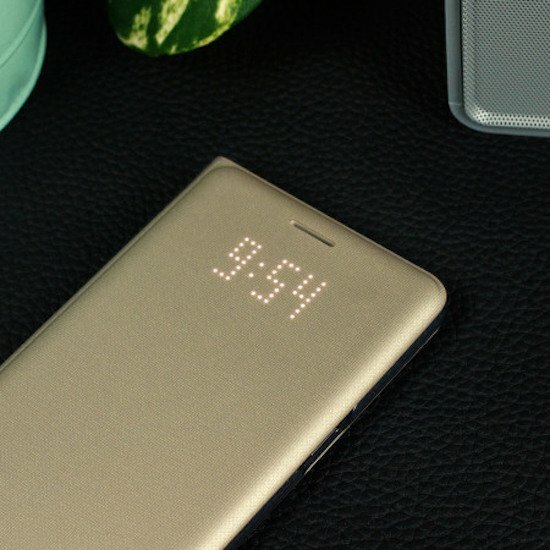 This official Gold Samsung Galaxy Note 7 cover feature elegant dot matrix design and keeps you updated through the LED notification. This beautiful, slim and light weighted case provides information about current time, incoming calls, message and battery life with clarity. The inner part includes a well designed slot to store cards, ID and other useful things. 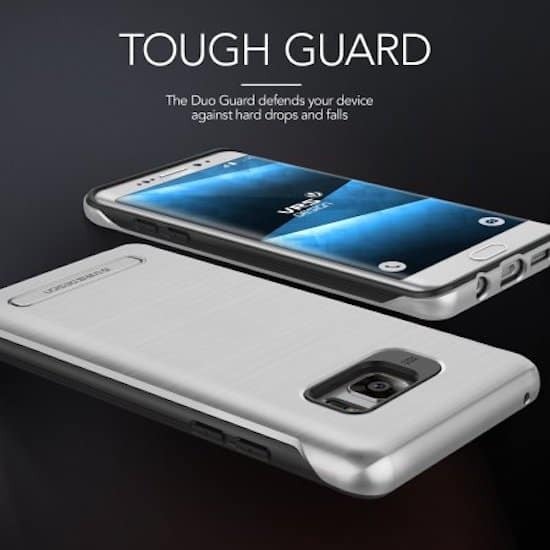 The case is built with high quality material and has the ability to protect the phone in the situation of sudden fall and smashes. It boasts perfect cutouts to use headphones, charge the phone and adjust volume buttons. 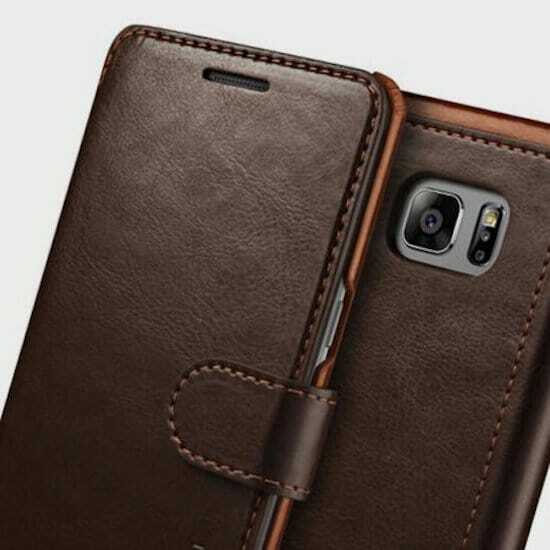 The intuitive flip cover looks premium and has the leather effect. This is another great solution which boasts a stylish dot matrix design and maximum functionality. 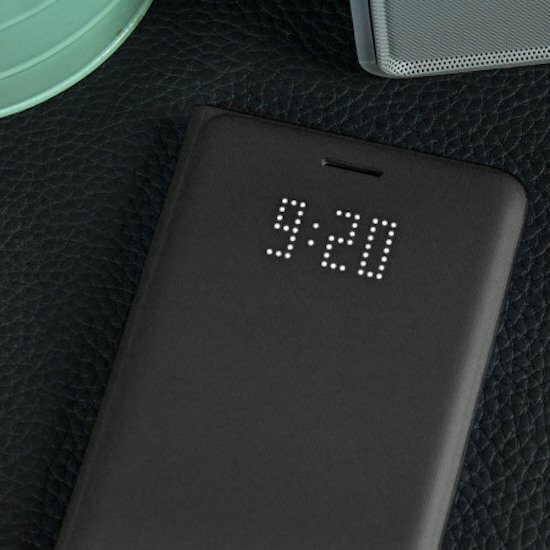 The black case looks beautiful and made of high quality material to protect the phone from bumps and smashes. The intuitive LED display provides the information about time, messages, incoming calls and battery status. The case doesn’t let you remove it to access ports, volume rockers or charge the battery. Its light-weighted and highly appealing. 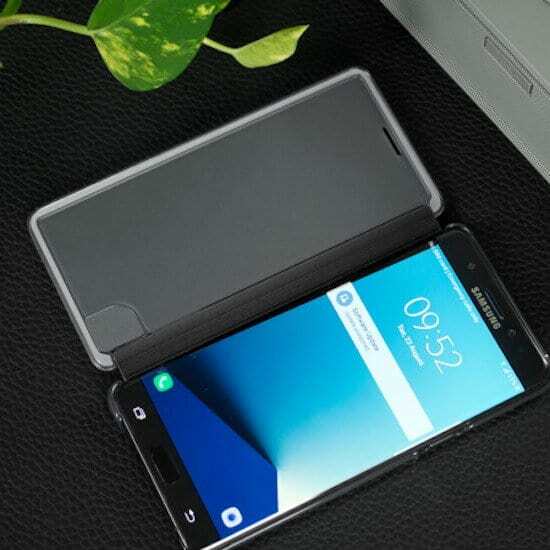 This case is one the best options to protect the screen of your Samsung Galaxy Note 7 and check the time, receive incoming calls and get third-party notifications without removing the cover. The case is hard enough to save your phone from any accidental harm and works fine with the always on display of the smartphone. It can transform the phone anytime to a media viewing stand which makes it ideal for watching movies. Its a premium leather case which not just adds more value to the look of your stylish phone, but also protects it from any kind of damage. 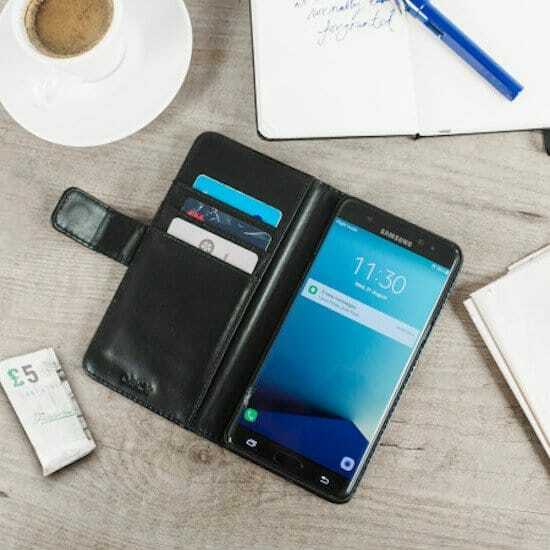 The case is made of luxurious leather-style material to provide a professional appearance and includes 3 card slots as well as a document pouch which make it highly preferable to use as a wallet. The inner body is very soft and the outer shell is hard so that the phone remains undamaged in any condition. The book shaped design along with the perfect space to use camera, ports and headphone jack make it more functional. Duo Guard, exhaustively designed case from VRS in satin silver is strong, durable yet light weighted. The case brags a slim body and fits properly to your Samsung Galaxy Note 7. The case offers immense protection and easy functionality. Its elegant brushed metal design along with rubberised edges provides solid grip over the phone and looks very stylish. The inbuilt magnetic kickstand supports your phone is landscape mode and lets you watch videos or movies with comfort. The Duo Guard has nice cutouts that allow access to all ports as well as features like camera and charging device so you enjoy the functionalities without removing the case. It is another well build case from VRS Design which looks stunning and has the ability to protect the phone from scratches and bumps in any condition. 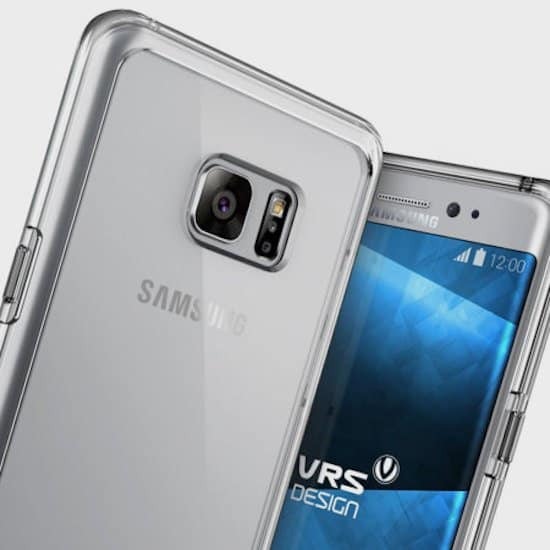 The case is transparent so you can easily showcase the beauty of your Samsung Galaxy Note 7. The case fits to your phone properly without adding too much bulk. The in-built Kickstand provides more support to your phone in landscape mode and lets you watch videos with ease. Perfectly placed cutouts let you access all your ports effortlessly. Its a robust case which is made of dual layer rugged TPU to give excellent protection to your Samsung Galaxy Note 7 in any condition. The outer shell is developed by Polycarbonate bump with a glossy finish and gives a classy look to the cover. The case ultra light and slim, that’s why it doesn’t add extra bulk to your phone and fits properly to the smartphone’s body. The case has a Tactile cover for the buttons which let you work effectively with this case over the phone and at the same time be rest assure about the protection from any damage. The well placed cutouts allow quick and easy access to ports and controls like fingerprint sensor, dock connector and both cameras. The sleek metallic bumper style body covers your phone smartly and let you showcase the beauty of your Samsung Galaxy Note 7. The case is ultra thin and fits smoothly into your phone and at the same time provides solid protection. It has nice cutouts to use ports, volume buttons, front and rear camera and other controls. The case is made of quality material and is extremely light weighted. The book shaped Olixar leather cover provides excellent protection for your delicate smartphone and looks highly impressive. The case is made of genuine leather and can be used as a wallet as it includes 3 inner pouches to keep your credit or debit cards, ID and even driving license. The stitching around the outer shell makes it more appealing. The case is book shaped and has magnetic fasteners for durable closing. 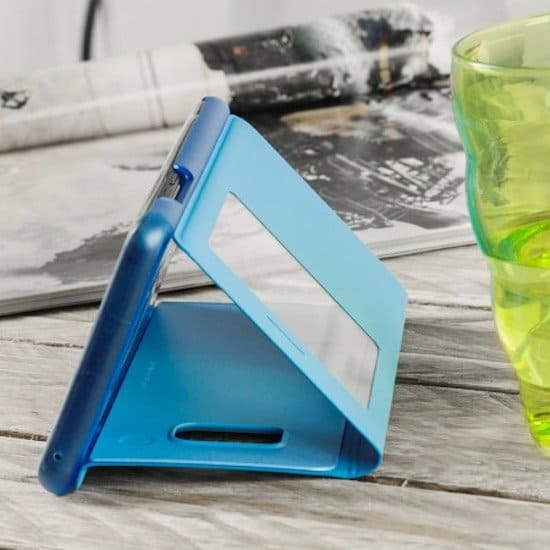 It has built-in kickstand to watch movies with comfort and has perfect cutouts to get access to ports and other controls. 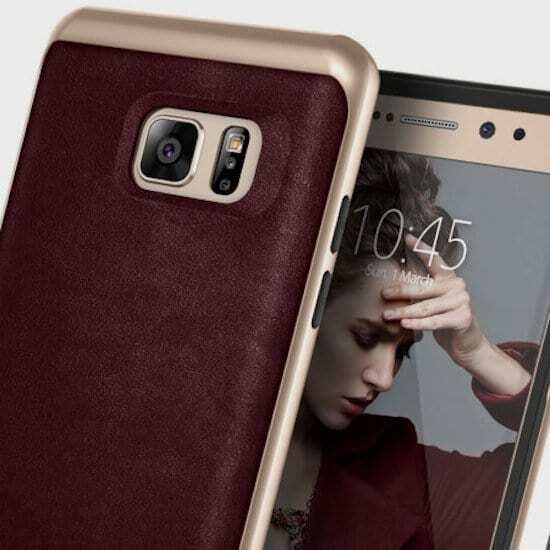 The case should not just protect the phone from any unwanted damage, but also enhance the beauty. 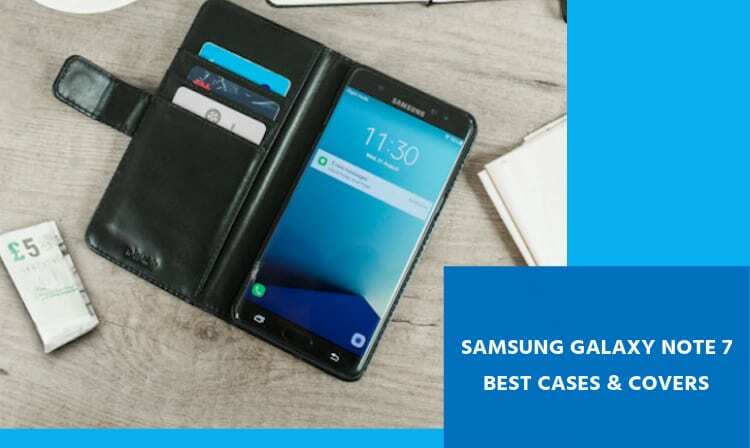 Hopefully the list of these best Samsung Galaxy Note 7 cases and covers would help you to make your mind and choose the one which suits your needs best. All these Galaxy Note 7 cases have excellent design and provide smooth functionality, but each one has a different style and at least one quality which is distinctive.